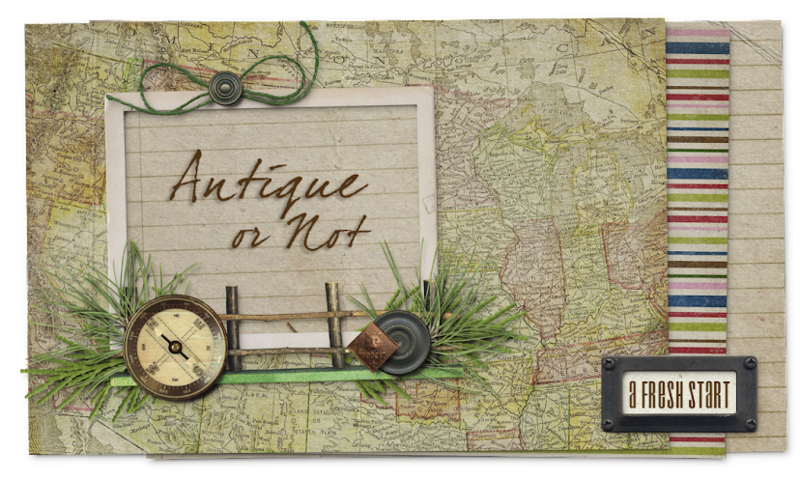 Antique or Not: Feeling Lucky! Believe it or not, she picked MY name! I'm so excited...I can't wait for my new little guy to arrive. Plus, Willa promised to do a tutorial on how to make more just like him on her blog very soon, so be sure to pop over there and become a follower of hers so you don't miss out. Thanks again, Willa! I have a small prim Christmas tree tucked into a wall niche and the snowman make-do is going right next to the tree when he arrives. And once I finally finish decorating the tree, I'll share pics with you. 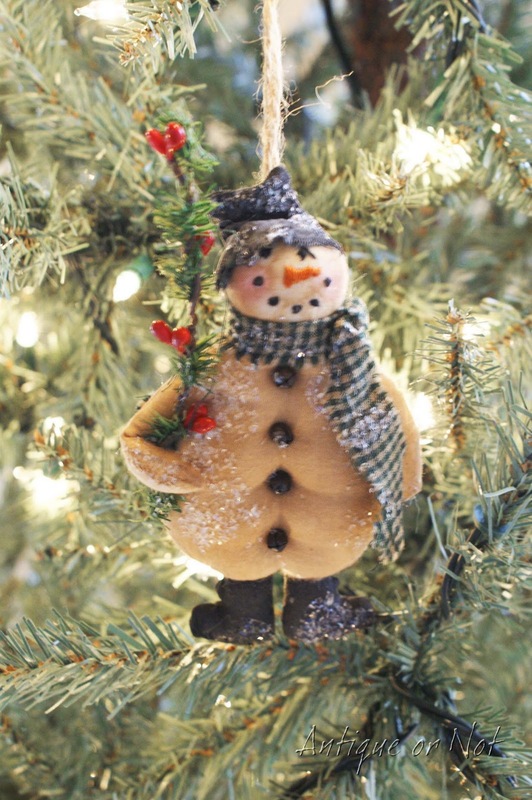 My little prim tree has only one decoration so far: the adorable snowman ornie that I recently won from Wanda at Olde Crow Mercantile. He was in my mailbox when we stopped by the post office yesterday and I couldn't wait to get home and hang him on my tree. Thank you, Wanda! Isn't he the cutest? Speaking of giveaways, if you haven't entered mine yet to win an adorable prim snowman tuck, there's still time...just click here. By the way, I think that something went wrong with my blog's feed and it didn't share yesterday's post with you. If you'd like to catch up on what you missed, click here for the post titled "This and That". Wow, can't believe you have won two giveaways lately. Sprinkle some of your lucky fairy dust my way okay? LOL Congratulations on winning this darling snowman! Thanks so much for stopping by my blog snd entering my giveaway! I look forward to getting to know you. Congrats on winning Willa's little snowman, it's sooooooo cute.